The Challenge of Discussing Innovation and Jobs. Sven Otto Littorin, Swedish entrepreneur in politics and business will be visiting the Stanford Center for Innovation and Communication until July 2011. Mr Littorin is interested in developing the link between innovation and jobs, and the interaction between creation of policy and public discussion, crossing the traditional verticals of government. 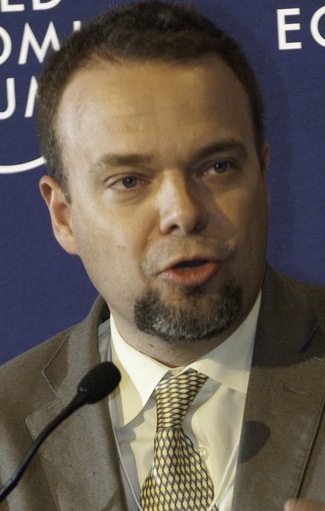 Mr Littorin was the Swedish Minister for Employment 2006-10, the President of the European Council of Ministers (EPSCO) 2009, and Secretary General of the Swedish Moderate Party 2002-06. Prior to that, he was co-founder of the venture catalyst firm Momentor, and a senior vice president of the corporate communication consultancy KREAB. During his time as Minister for Employment he introduced some major policy reforms, which were a part of the Swedish strategy for creating economic growth while reducing unemployment. The Innovation Journalism initiative at the Stanford Center for Innovation and Communication is a good match with Littorin's interest in bridging policies for innovation and jobs. Governments are vertical, ministries handling innovation and jobs are different silos. Newsrooms are vertical, too. Journalists covering jobs rarely cover innovation and vice versa. Are the verticals in government and in the fourth estate reinforcing each other, making it even more difficult to bridge topics that need to be brought together, like innovation and jobs? Can horizontal innovation journalism play a part in lowering the barriers between decision makers in different silos in government and industry? These are good questions to discuss between the Innovation Journalism initiative and Mr Littorin. The full bio of Mr Littorin is available on the Stanford InJo website.